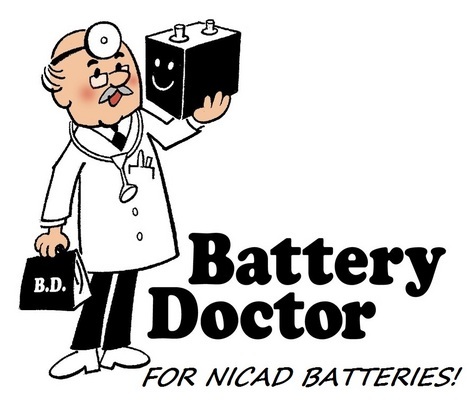 step-by-step instructions on how to easily rejuvenate any life-less rechargeable ni-cad battery. instructions: open and read the easy step-by-step instruction. then choose 1 out of the 5 options to jumpstart your old cordless power tool battery back to life. warning: do not attempt to recondition any type of batteries without our complete demonstration video, serious injury could occur if done incorrectly!!! this will only work on ni-cd battery types! it will not work on ni-mh or li-ion battery types! this procedure is not brand specific, which means you may apply this procedure to any brand battery regardless of make, model or voltage. (no need to buy a separate item for each brand of battery you may own, one purchase should fix all of them. yes! this even works on aa, aaa, c and d sized nicad rechargeable batteries! any voltage including: 1.2v 1.5v 2v 2.5v 2.6v 2.8v 3v 3.6v 4v 4.8v 5v 6v 6.8v 7v 7.2v 8v 9v 9.6v 10v 10.6v 10.8v 11v 12v 12.2v 13v 13.2v 13.6v 14v 14.4v 15v 15.6v 16v 16.8v 17v 18v 19v 19.2v 20v 21v 22v 22.2v 23v 24v 25v 26v 27v 28v 29v 30v 31v 32v 33v 34v 35v 36v etc... as long as it is a ni-cad rechargeable, it will work! disclaimer and limitation of liability: all brand names, logos and trademarks such as aeg battery, agatec battery, alemite battery, black&decker battery, black and decker battery, bosch battery, craftsman battery, dewalt battery, dremel battery, fein battery, festool battery, firestorm battery, makita battery, metaboo battery, milwaukee battery, paslode battery, portercable battery, ridgid battery, ryobi battery, sears battery, senco battery, skil battery, snap-on battery, stout battery, versapak battery, etc... specified are the property of their respective holders and while we make reference to brand name merchandise we are in no way endorsed by or associated with these companies. this item is brand new, contains documents and videos created by me, which does not come in a retail box. the use of this information is solely at ones owns risk. under no circumstances shall we be liable for any direct, indirect, incidental, accidental, special, consequential or punitive damages, whether in an action in contract or tort (including negligence and strict liability), resulting from its performance or any failure to perform. we cannot be held responsible for any injury or damages done to you or private property. encoded video demonstration and information contained on this cd is of my own research & creation therefore, is copy protected, and may not be reproduced, resold or given away for free, violators may be prosecuted to the fullest extent allowed by law. all text, graphics, the selection and arrangement are copyright © you are in no way purchasing the resale rights to the information on this cd-rom.